The Callan Periodic Table is a well known chart that shows, using different colors, how the annual gain/loss of different styles changes every year. 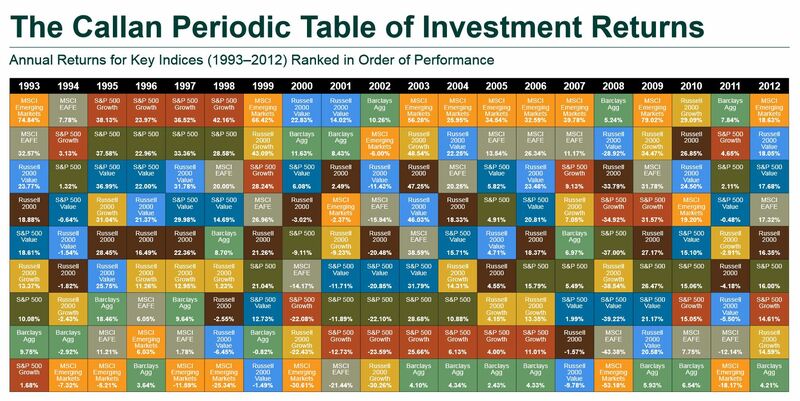 I tallied up the averaged returns for each year shown in Callan Periodic Table of Investment Returns above. The results are shown in the table below. Bars to the left of the center line represent those years in which a portfolio that contained the securities shown in the Callan Periodic Table did better than the DIA. Bars to the right show those years when DIA outperformed the Callan securities. 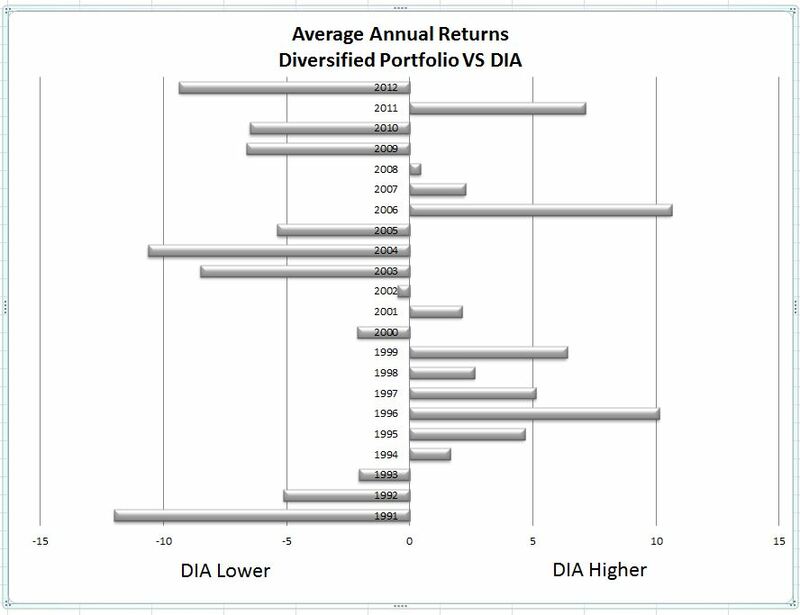 In some years the DIVERSIFIED PORTFOLIO produced superior returns to the DIA portfolio. In other years, DIA produced superior performance. Over the entire 22 year period the total difference in the returns is a mere seven/tenths of one percent (0.007) . By the way, equal weights were given to each investment. This is not how a prudent investor would allocate his funds. If you paid a financial advisor 1.5% to get you that diversified portfolio, then DIA has the edge.